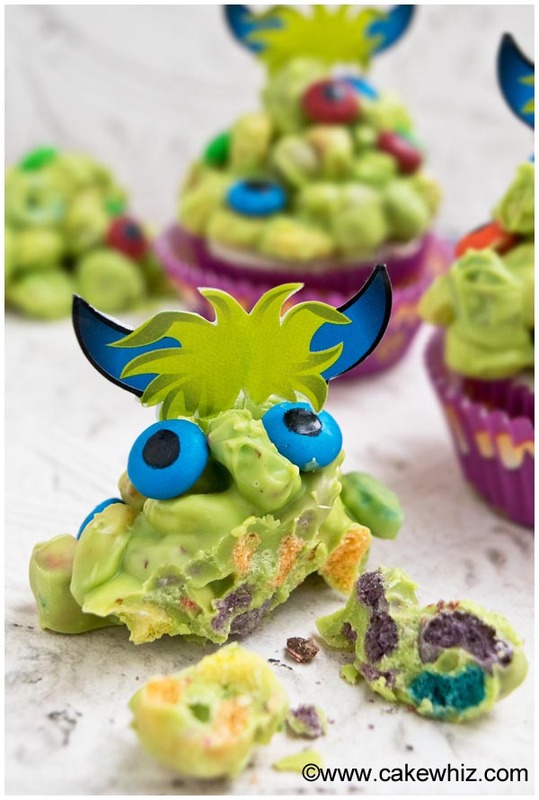 Learn how to make quick and easy monster cupcakes. All you need is melted chocolate, candies and cereal. 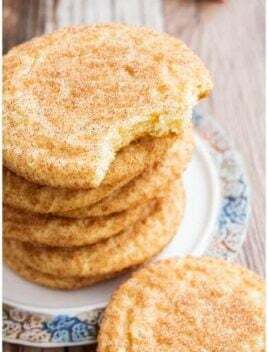 Fun to make with kids for Halloween parties! These super easy monster cupcakes were a result of my WEIRD curiosity. You see, everyone I know has grown up eating cereal clusters but somehow, I DIDN’T. 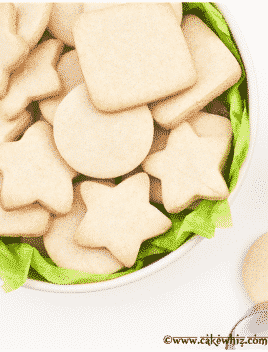 I grew up eating cereal the GOOD OLD FASHIONED way… in a bowl of milk! lol. So, I got to work and made them. They are basically made with chocolate and cereal mixed together. 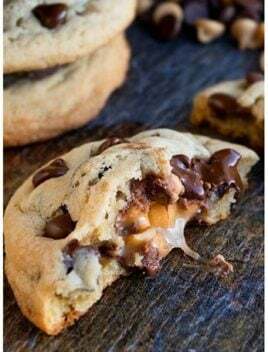 They are CRUNCHY and SWEET and perfect for both, chocolate lovers and cereal lovers. When I used colored chocolate, they looked very COOL and after adding some candies and a paper horn, they looked like CUTE cereal monsters. I used them as Halloween cupcake toppers but you can also enjoy them as is. 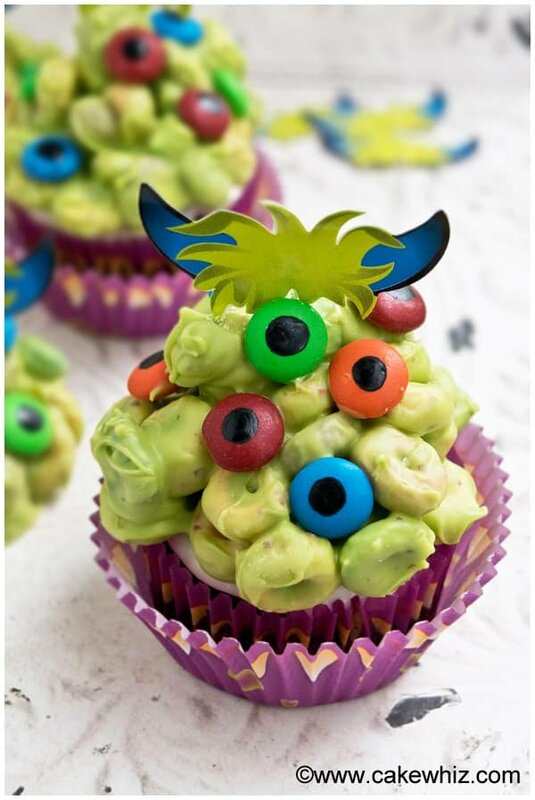 These Halloween monster cupcakes are ready in less than 30 MINUTES and kids can help too. 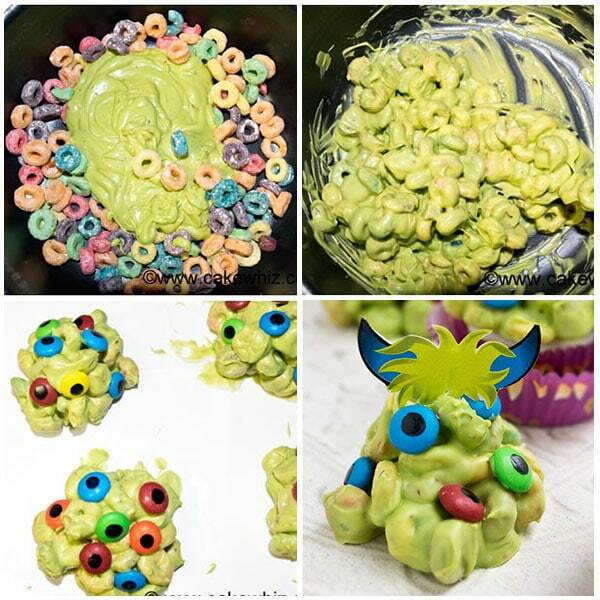 I know there are many monster cupcakes decorating ideas but these cereal DIY monster cupcakes are probably the easiest. 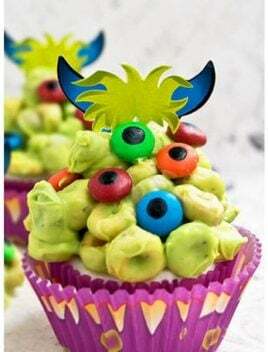 You can use store bought eyeball candies OR you can just make spooky eyeball candies at home. I used Fruit Loops to make these monster blobs because it’s fun to bite into them and see all the colors inside but you can use whatever cereal you like. 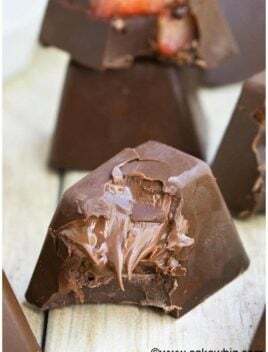 If you are coloring melted white chocolate, make sure to use oil based food coloring and not water-based food coloring or else your chocolate will SEIZE. To save time, you can just buy pre-colored chocolate. Wilton sells some amazing colors at very reasonable prices. 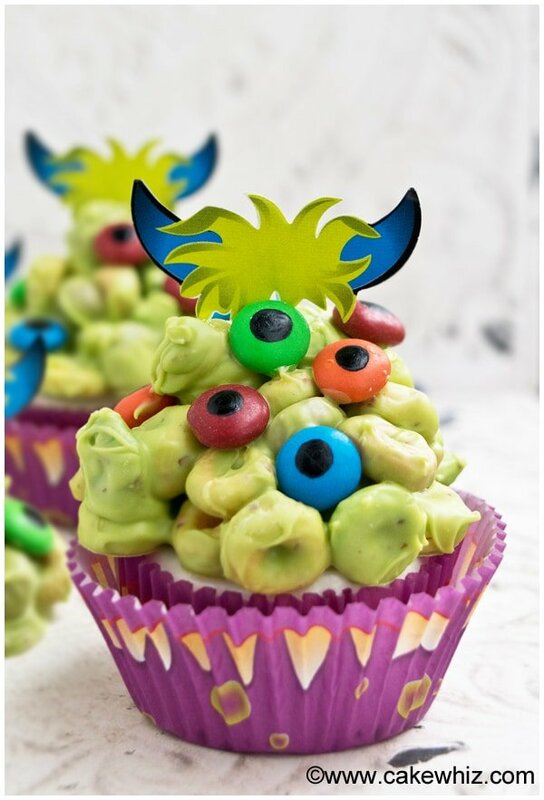 You can make homemade cupcakes/ frosting OR if you are short on time, just use store bought cupcakes and frosting and stick the cereal monsters on top of them. 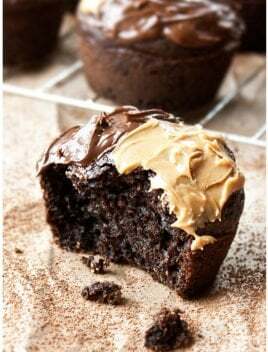 How to make monster cupcakes? It’s very SIMPLE. Start off by mixing together cereal and melted chocolate. Then, drop a big spoonful on a sheet of wax paper. Stick a few m&m candies and let the cereal clusters set. Use an edible marker to draw eyeballs on the candies. 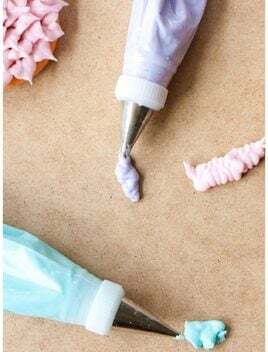 Push a paper horn (you can buy them or print your favorite printable) on top of the frosted cupcakes and enjoy! In a deep mixing bowl, add cereal and melted chocolate and mix everything together. Spoon out about two tablespoons of this mixture onto a sheet of wax paper. Stick M&M candies randomly on these monster blobs. Let these monster clusters set and harden at room temperature (takes about 10 minutes). Use a black edible marker to draw eyeballs on the candies. Then, push a horn pick on top of each monster. Spread some buttercream icing on top of each cupcake and top it off each with cereal monster. Enjoy! Oh my, these monsters are super cute!! 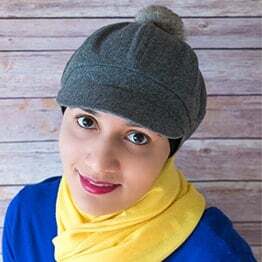 Great combination too – unique idea!